Saturday I managed to see some amazing places in Berlin. I got up rather late, as the days before were exhausting and I was disappointed to see, that it was raining. But anyways, there is nothing like bad weather for a traveller and I hit the road. First I got myself some breakfast to charge my batteries. Afterwards I walked a rather long distance through the streets of Berlin. 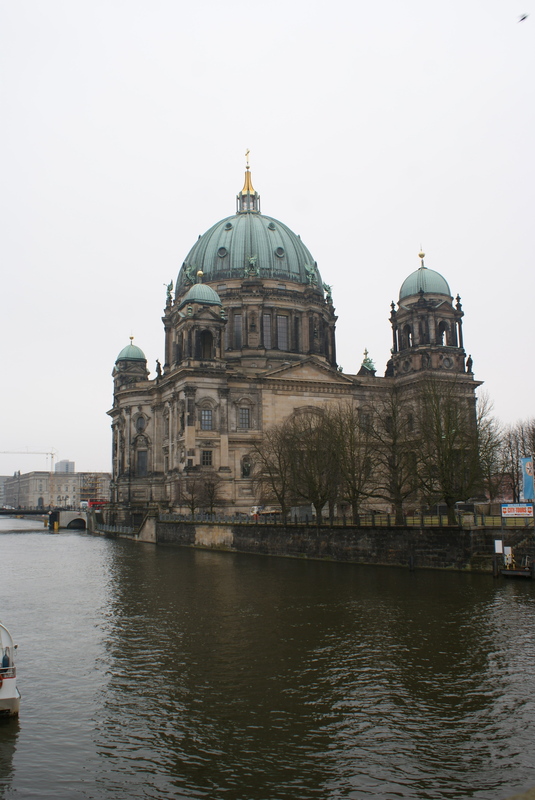 First I walked towards the Spree-Insel, where the most famous museums of Berlin are located. They are located next to the Berlin Dom. Unfortunately they were rather busy, and as I had an appointment to visit the Reichstags-/Bundestag Building I decided to do something else. I took the Bus towards Brandenburger Tor. Brandenburger Tor is the last gate remaining from the old city walls. 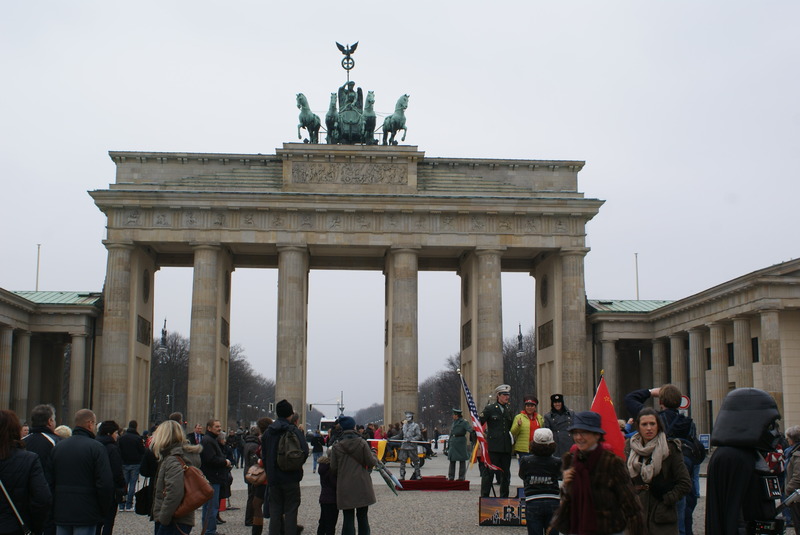 It is probably the most famous landmark in Berlin and therefore was very busy. It was just on the Eastern Side of the Berlin Wall and the street towards East “Unter den Linden” got a major renovation after the German Unification. You can find the Hotel Adlon there, and there are also a lot of embassies located in this area: e.g. the French, the US or the Russian embassy. 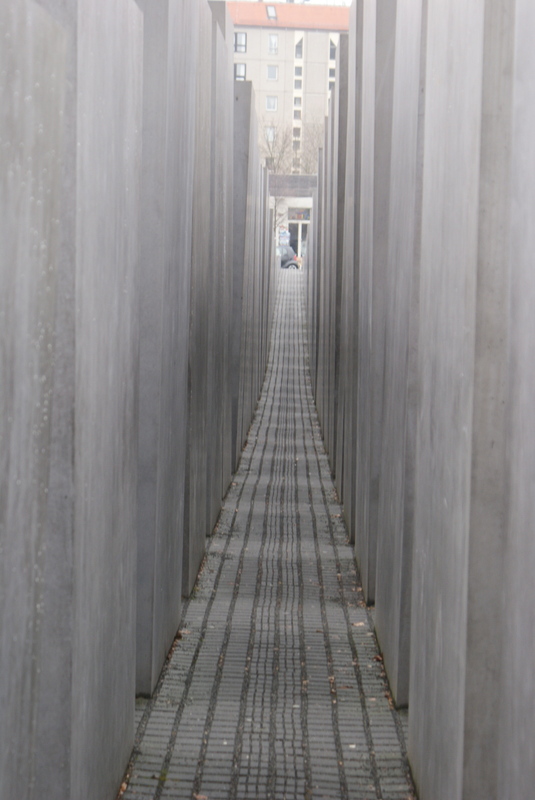 After enjoying the buzzing atmosphere around the Brandenburger Tor I walked down about 200 meters to visit the Holocaust Memorial. 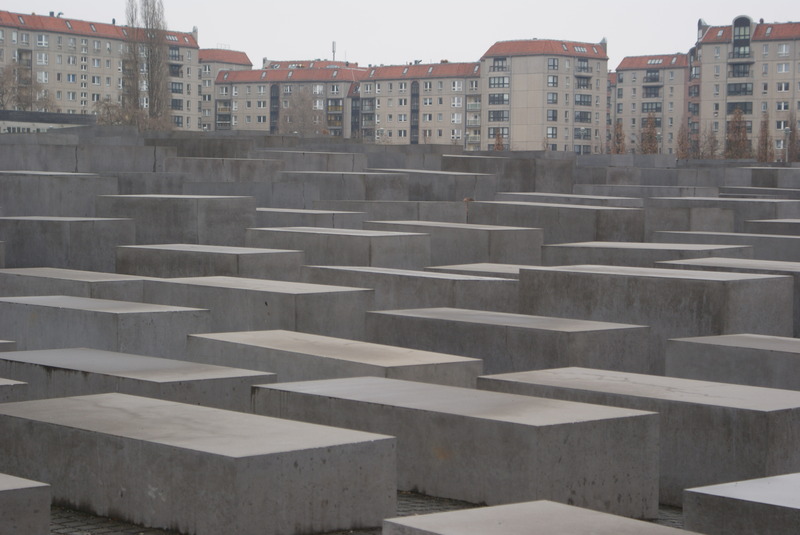 This is a very impressive square, which is formed by 2711 concrete slabs. It was designed by Architect Peter Eisenmann and inaugurated in 2005 – 60 years after the end of World War II. I was very impressed by it, but there are also people around that seem to see it as a place to have fun. The fun definitely ends, if you enter the underground “Place of Information”, where you get insights into the lives of the murdered Jews. I was very impressed and it is a great reminder to what people are actually capable to do to other people. 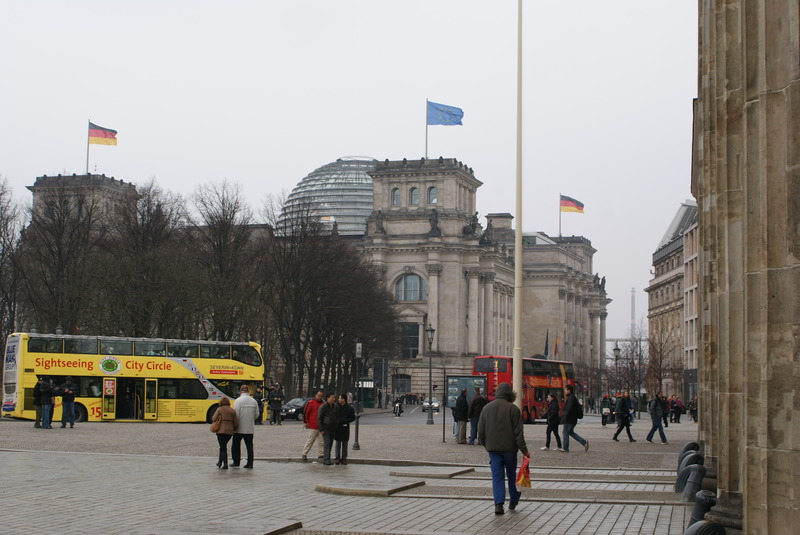 Afterwards I headed towards the Reichstag-Building – the house of parliament in Germany. Nowadays its not Reichstag any more, but Bundestag, this is for well known historical reasons. I had a guided tour concentrating on the historical aspects of the building, which was very interesting. One important thing: You need to book a tour at least two days before visiting the Bundestag: you will not get entry without this! Even if you only want to see the glass dome on top of it. I saw a lot of disappointed people, who could not enter the building. The entry and guided tours are for free – the registration is just for security reasons. 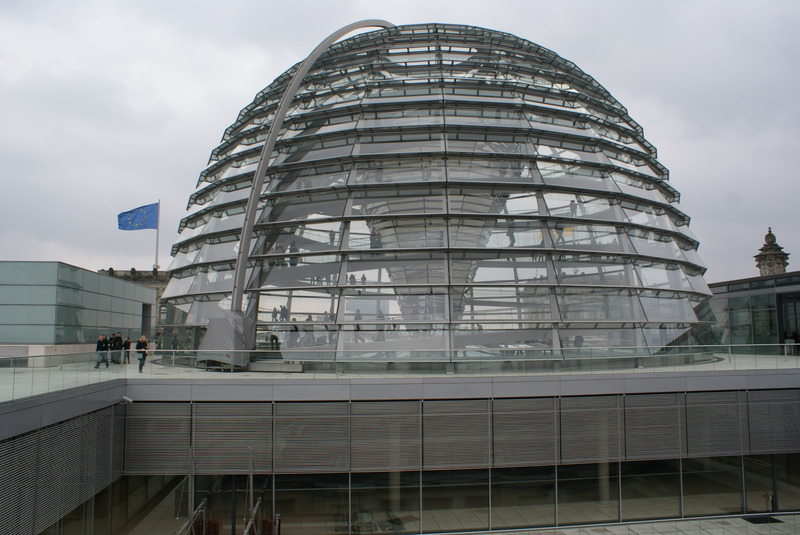 The modern Reichstag was replanned by Sir Norman Foster – he used the historical outer walls, but most of the other things were completely rebuild. 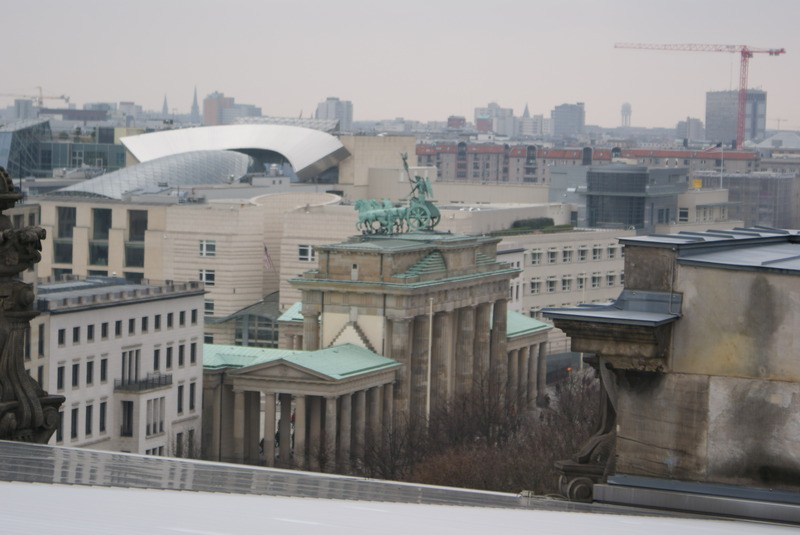 On top of the building there is a glass dome, which allows great views over Berlin: do not miss out on that. it serves not only design purposes, but also allows daylight to get into the plenary rooms (through a system of mirrors). It is open on top, to get fresh air into the building, but there is a rather smart system, to prevent water from soaking in. Unfortunately I only got one day to do real sightseeing, but as I am sure I will visit the ITB 2013, I am looking forward to see other interesting places, which I missed this time. The people from Roomsurfer Berlin, who where very helpful by giving some insider tips via Twitter. For one day of sightseeing, you covered some nice spot. 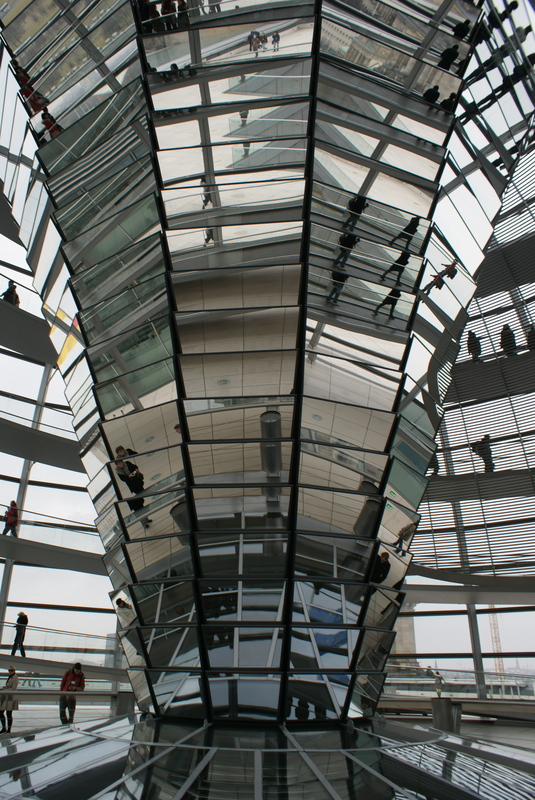 I loved my tour at the Reichstag. Glad you enjoyed it too! I was quite happy with that day … and am looking forward to going back to Berlin. Looking forward to reading more about your journeys.